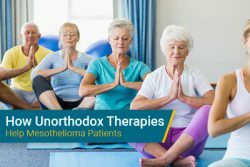 The Mesothelioma Specialty Care Center at the University of Pittsburgh Medical Center boasts a strong commitment to the treatment of both pleural and peritoneal mesothelioma through ongoing research and advanced technologies. With both an accomplished past and a dedication to success in the future, the Mesothelioma Specialty Care Center at the University of Pittsburgh Medical Center is one of the most comprehensive facilities for both pleural and peritoneal mesothelioma patients on the East Coast. The center’s network includes hundreds of oncologists, including HIPEC specialist Dr. James F. Pingpank. The center was so successful in Pennsylvania that it has since spread internationally to both Dublin and Waterford, Ireland. 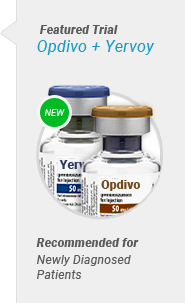 Specialists here are always working to improve treatment methods. UPMC’s emphasis on technology, such as robot-assisted surgery, ensures that the center stays on the cutting edge of promising innovations. Clinical trials are one of the best ways to explore new treatment options for mesothelioma, and the doctors at UPMC take full advantage of both existing and emerging treatments. The doctors at UPMC are among the most accomplished in the country, with expertise in successful treatments including heated chemotherapy, also known as HIPEC. If you’ve been diagnosed with mesothelioma and are seeking treatment at a top-notch facility, UPMC may be for you. Our free service will help you evaluate your options and connect you with UPMC or the best cancer center for your specific needs. Why Choose University of Pittsburgh Medical Center? 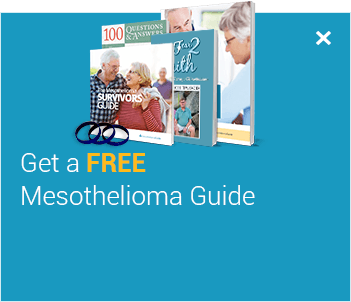 Get the complete guide to fight mesothelioma. UPMC has developed an extensive mesothelioma program with a special focus on peritoneal mesothelioma. UPMC is one of the top locations for mesothelioma clinical trials. UPMC is an attractive choice in part because of its doctors, many of whom are internationally recognized specialists. These top doctors have worked in the field of mesothelioma treatment for years. Some of the outstanding work they have contributed includes the development of life-saving procedures for mesothelioma patients. Dr. James F. Pingpank, Jr.
A surgical oncologist and the associate professor of surgery at UPMC, Dr. James F. Pingpank, Jr. has extensive experience working with peritoneal mesothelioma. Dr. Pingpank’s research and contributions on developing the HIPEC treatment for mesothelioma have extended the lives of many patients. HIPEC also called heated chemotherapy, is often combined with another treatment called cytoreduction, resulting in the most successful peritoneal mesothelioma treatment available. As the MD chief of the division of surgical oncology at UPMC, Dr. David Bartlett has an expertise in the management of advanced, complex abdominal malignancies. Dr. Bartlett helped develop a technique that delivers heated chemotherapy directly to the peritoneal cavity. This allows patients with the disease confined to this area to receive chemotherapy in the operating room. Dr. Bartlett helped found the Mesothelioma Specialty Care Center, which prides itself on comprehensive treatment. “We combine novel therapies with a multidisciplinary approach from true experts in the field of mesothelioma to provide specialty care for the patients with mesothelioma.” – Dr. David Bartlett. Recognizing that clinical trials can provide insight into upcoming treatments, UPMC Cancer Center is proud to host clinical trials for emerging mesothelioma treatments. Throughout the years, UPMC has been home to various clinical trials dedicated to the treatment of mesothelioma. UPMC is also a National Cancer Institute (NCI) accredited facility. The NCI serves as the foundation of the nation’s cancer research and through their large network of accredited cancer centers, it is able to conduct hundreds of studies simultaneously in an effort to try and completely understand and control cancer. This accreditation is given to cancer centers that have demonstrated a level of excellence in areas such as research, clinical care, community outreach and education. Centers that become part of the NCI’s Cancer Centers program also offer specialized training for scientists, physicians, and other researchers looking to become board certified in the field. We can connect you with top mesothelioma specialists today. 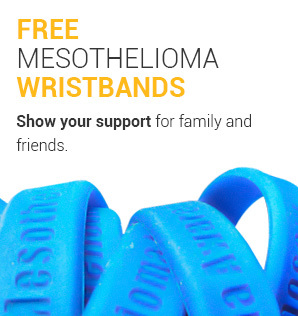 Show your support for mesothelioma awareness. 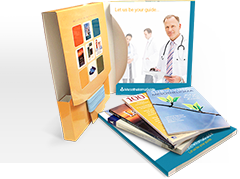 Is UPMC Right for You? 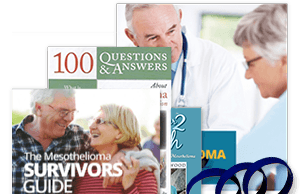 The patient advocate team at Mesothelioma Guide can help you determine the best cancer center for you and get you enrolled as a patient. We can also help you get connected to specialists at UPMC with our free Doctor Match program. Pleural Mesothelioma survivor for 17 years. 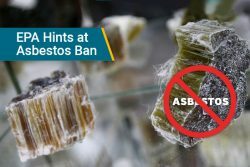 Peritoneal Mesothelioma survivor for 20 years. Peritoneal Mesothelioma survivor for 9 years. 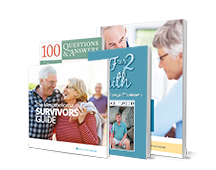 Get our free survivors guide with inspiring stories of overcoming mesothelioma. Jodi Page is a survivor of stage 2 epithelioid mesothelioma for over 17 years. Jenna Campagna is a registered nurse and patient advocate who is passionate about helping mesothelioma patients navigate their health care. She has over seven years of experience working with patients diagnosed with rare diseases including mesothelioma. Jenna is also a member of the Academy of Oncology Nurse & Patient Navigators and her goal is to connect patients to top mesothelioma specialists, treatment facilities, and clinical trials. 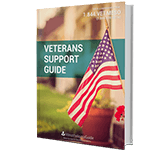 Through her writing, she aims to simplify the complicated journey through mesothelioma by offering helpful tips and advice. Last Edited: September 20, 2018.